The best things in life are free. This is the first thought that comes to mind when you use any of the free SEO tools listed here. This comprehensive list features 35+ best free SEO tools you can use to rank higher in search engine result pages (SERPs). 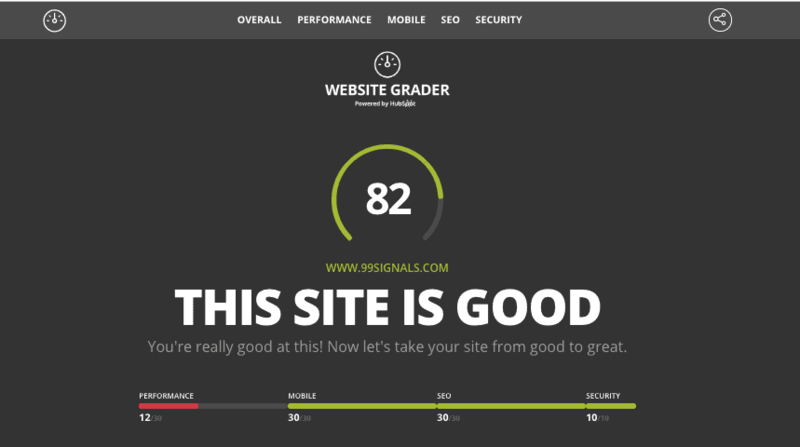 Website Grader is a free online tool by HubSpot that grades your site on key metrics like performance (page speed, page requests, browser caching, etc. ), mobile-friendliness, SEO (page titles, meta descriptions, sitemap, etc. ), and security (SSL certificate). The tool also provides detailed steps and recommendations to increase your website grade. 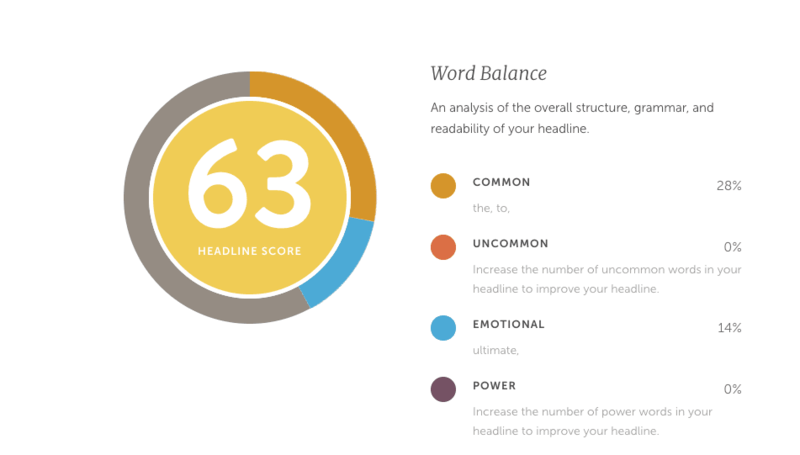 Headline Analyzer helps you create blog post headlines that can drive traffic, shares, and search results. This free tool by CoSchedule will evaluate your overall headline quality and rate its ability to result in social shares, increased traffic, and SEO value. Aim for a minimum score of 70 for all your headlines to ensure that it gets enough traction on social media and search engines. This is a must-have tool for bloggers. If you’ve run out of content ideas for your blog, then Answer the Public is the perfect tool for you. Answer the Public is a free tool which generates questions and queries people are searching for in search engines. These questions are mostly extracted from auto suggest results provided by Google and Bing. With this tool, you can generate a ton of keyword ideas for your blog. 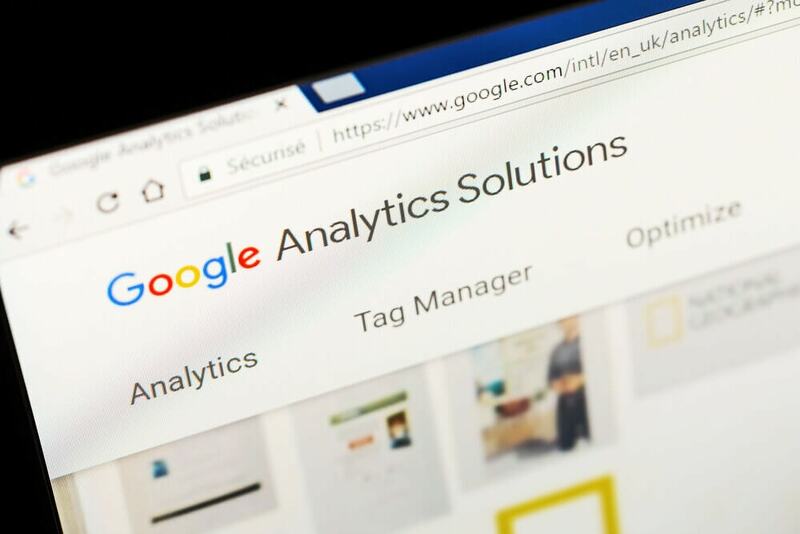 Google Analytics remains the best analytics tool on the web and it’s completely free. With Google Analytics, you can analyze your web traffic and other key data like pageviews, bounce rate, time on site, etc. PageSpeed Insights by Google analyzes different pages on your website and provides you with a set of actionable recommendations to make your website load faster on all devices. From an SEO perspective, HARO (short for Help a Reporter Out) can be used to build authoritative backlinks from leading publications and blogs. Once you sign up for HARO, you’ll receive 3 emails per day from reporters all across the world looking for credible sources to help elaborate their stories. If you respond to these emails with content that is relevant to the journalists’ requirements, you’ll build high-quality backlinks in no time. GTMetrix is a website speed and performance optimization tool which provides actionable tips on improving the loading speed of your website. Just enter your URL in the search box and GTMetrix will produce a detailed report, giving you a complete picture of your website’s speed and performance. MozBar is a Chrome extension by Moz that lets you get instant access to SEO insights on websites and search engine result pages (SERPs) without leaving your web browser. Along with various backlink metrics, you can also see a website’s domain authority and page authority from this extension. 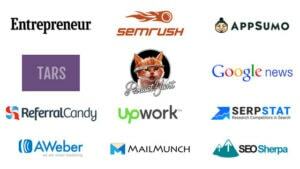 A must-have Chrome extension for all SEOs and content marketers. Google Search Console helps you measure your site’s impressions, clicks, and position on Google Search. You can also use Search Console to submit your XML sitemap and individual URLs for crawling. Most important, you’ll receive email alerts when Google identifies issues on your site to make sure you fix them promptly. Yoast SEO is the best WordPress plugin to handle on-page and technical optimization of your site and to refine your content to make it more SEO-friendly. With Yoast, you can even generate an XML Sitemap for your site and make it easier for search engines to find, crawl, and index all the pages on your site. Furthermore, Yoast automatically updates your sitemap for you every time you add a new page to your site. This free WordPress plugin monitors your blog for broken links and notifies you whenever there are broken links or missing images on your site. LSIGraph helps you discover LSI keywords that are just right for your topic and niche. LSIGraph uses a unique formula called Latent Semantic Value (LSV) to rank the LSI keywords. Pick the keywords with the highest LSV and use them in your content, anchor text, and backlinks. Want to run a free site audit and identify all the SEO errors on your site? SEO Site Checkup has got you covered. Just enter your website URL and let this tool analyze your site to generate a detailed report on the SEO health of your website. SEO Writing Assistant is a free WordPress plugin or Google Doc extension by SEMrush which helps ensure your text is written in SEO-friendly style. The recommendations and analysis are based on your Google top 10 rivals for a given keyword. 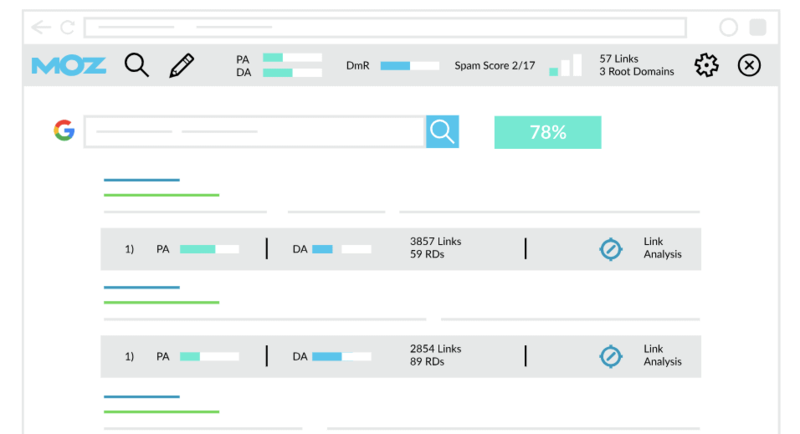 CanIRank is an SEO intelligence tool which collects data and metrics from other SEO services and adds a layer of machine learning intelligence on top to deliver actionable insights, opportunities, and personalized recommendations. The free plan of CanIRank lets you generate 5 keyword and SEO reports per month. Seobility is an all-in-one SEO tool for better website optimization. 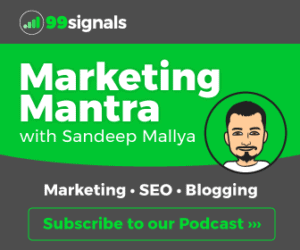 The basic plan of Seobility is free and allows you to monitor up to 10 keywords, 3 competitors, and perform basic site structure and content checks. Ubersuggest is a free SEO tool which can help you generate tons of keyword suggestions. Just type in your seed keyword into the search box to generate suggestions, ranging from head terms to long-tail phrases. You can also filter out negative keywords to make sure you’re using the right keywords for your business. Browseo lets you see your website as search engines see it by focusing purely on the HTML aspect of a page. With this data, you can quickly determine a page’s structure as well as its relevance for specific search terms. Hemingway Editor is a free web-based tool which tests the readability of your content and suggests changes to make your writing bold, clear, and concise. To use it, simply paste your text, and the tool will indicate your mistakes by highlighting them in different colors. 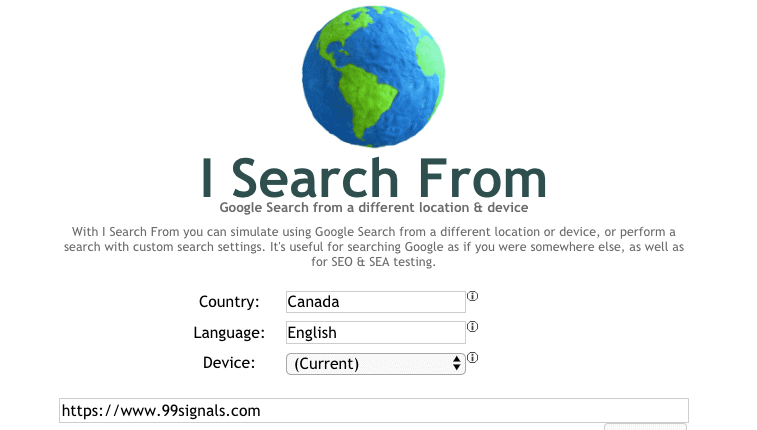 With this tool, you can simulate using Google Search from a different location or device, or perform a search with custom search settings. I Search From is a useful SEO-testing tool which you can use for searching Google as if you were somewhere else. One of the most effective ways to speed up you website is by reducing the file size of your images. TinyPNG is a free tool which uses smart lossy compression techniques to reduce the file size of your PNG or JPG files. Reddit is one of the best places to find tons of new content ideas. 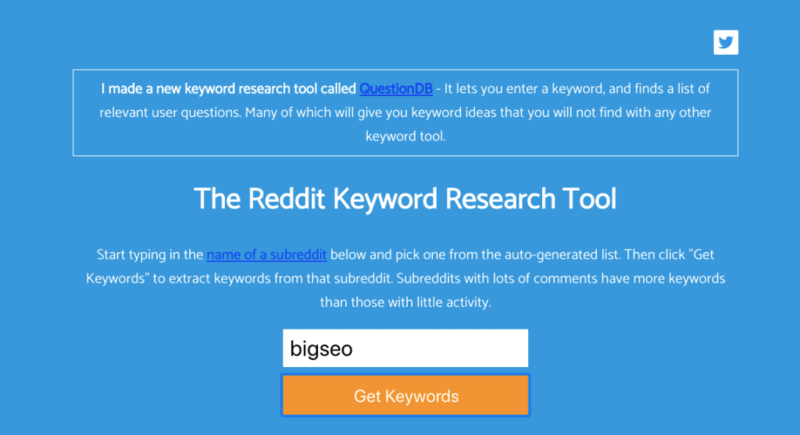 Keyworddit helps you extract the most frequently used keywords from any subreddit. Just type in the name of the subreddit in the search box and click on ‘Get Keywords’ to extract keywords from that subreddit. The tool also shows the monthly search volume for each keyword. Plagiarism is a common problem on the web and can really hurt your organic rankings and online reputation. 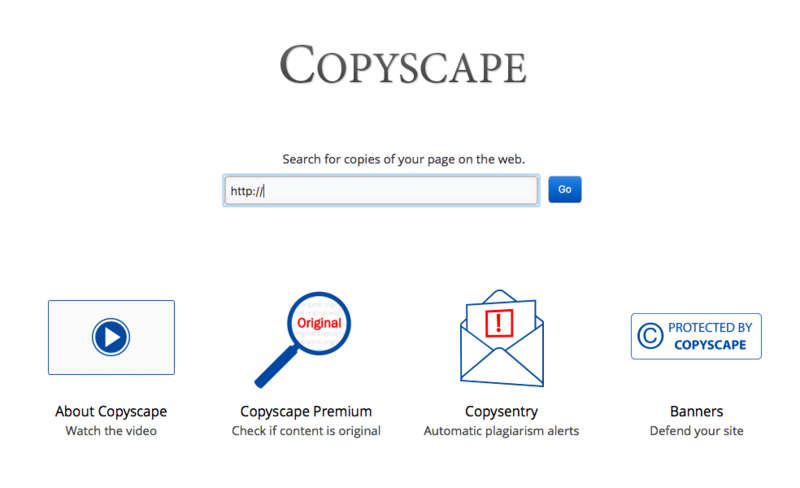 Copyscape is the industry-leading tool for detecting plagiarized content and can help you prevent plagiarism of content on your site. If for some reason you’re not completely satisfied with Yoast SEO, you can try All in One SEO WordPress plugin which is the best alternative to Yoast SEO. You can use All in One SEO Pack to optimize your WordPress site for SEO. It’s beginner-friendly, but also has advanced features and an API for developers. Drop My Link is a free link building tool which combines your keywords with advanced Google search operators to uncover link building opportunities. This tool is really useful for finding guest post opportunities, resource pages, link roundups, etc. 26. What Does My Site Cost? This tool allows you to find out how much it costs for someone to use your site on mobile networks around the world. Bing Webmaster Tools provides reporting and diagnostic tools which are similar to the ones provided by Google Search Console. 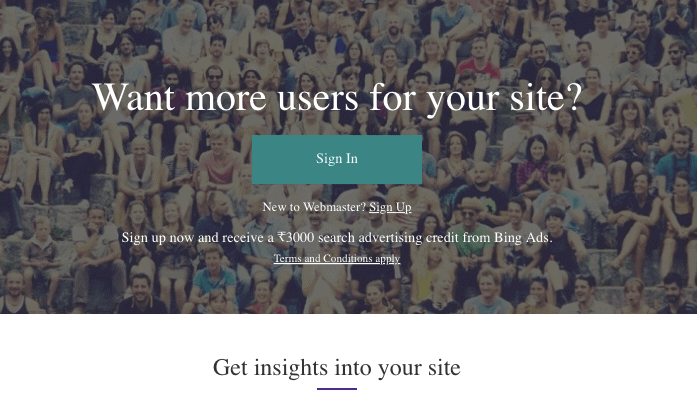 You can submit your sitemap, get a summary of how well your site is performing on Bing, identify issues, and get frequent alerts on your website. Varvy is a free SEO tool developed by Patrick Sexton which checks whether your website is following Google’s guidelines. Just type in your website URL in the search box and hit ‘Test’ to generate a detailed audit report which checks the mobile-friendliness of your site, page speed, security, among other factors. 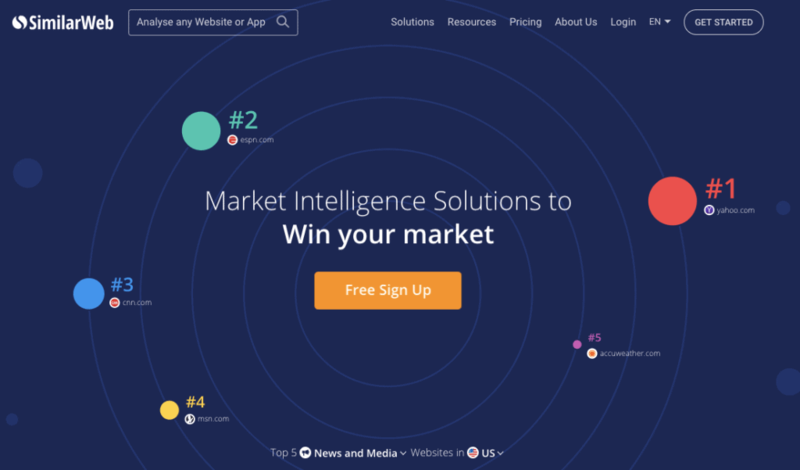 SimilarWeb is a competitor research and analysis tool you can use to uncover the best SEO and content strategies of your competitors, discover new opportunities, and understand user behavior and intent. Soovle is a free SEO tool which scrapes Google, Wikipedia, Amazon, YouTube, Bing, Answers.com, and Yahoo to generate tons of keywords from your seed keyword. Keyword Hero allows you to get 95% of your organic keywords displayed in Google Analytics which typically displays only 3-8% of the keywords. With this knowledge, you can tweak and optimize your content accordingly and even create extra content on your website for the keywords discovered through Keyword Hero. 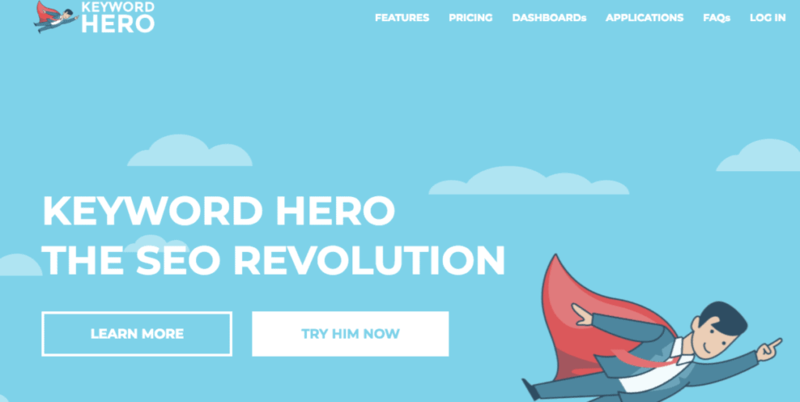 The free version of Keyword Hero lets you track keywords for 25 most frequented URLs from your website. 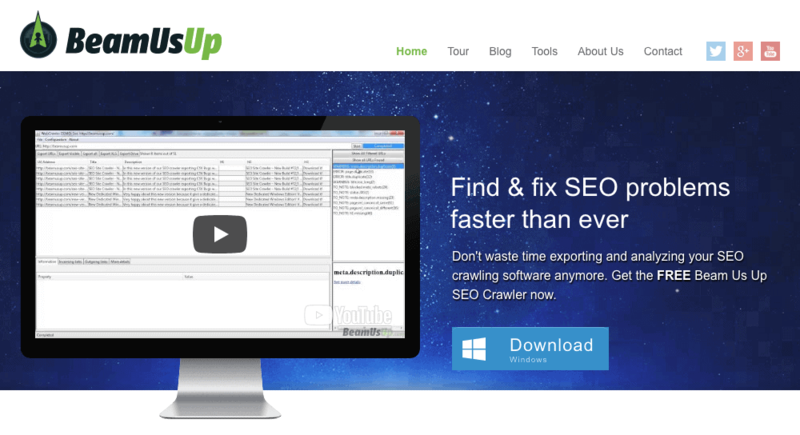 Beam Us Up is a free SEO crawling software which has smart filters built in to display the most common SEO errors you want to find during your site audit. SERPs provides a free collection of SEO research and analysis tools for marketers, and one of those free tools is Keyword Rank Checker. 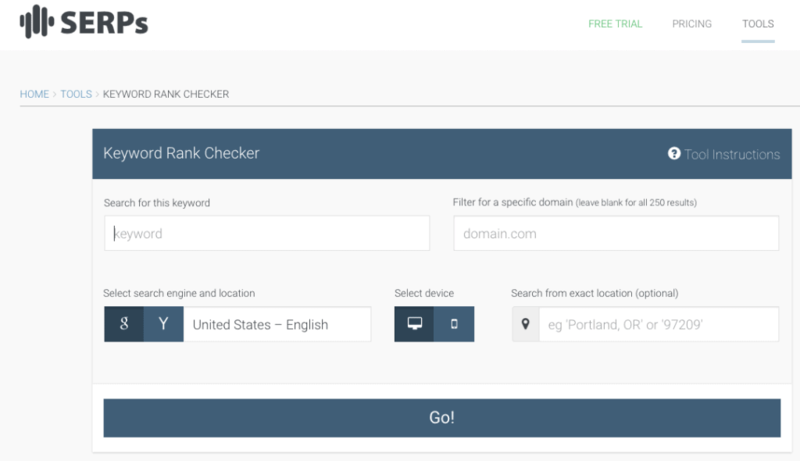 SERPs’ Keyword Rank Checker tool shows you the top 250 search results, along with CPC and search volume data, for any keyword or phrase. This tool checks responsiveness of your website and shows you how your site looks on desktop, laptop, tablet, and mobile. Just type in your website URL into the search box, click on ‘Go’, and let the tool show you how your website looks on all devices. 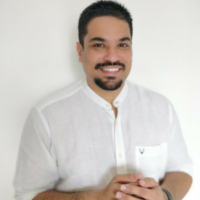 Glen Allsop, the founder of Detailed.com (previously ViperChill), is the go-to source for advice and lessons for some of the leading companies in the world, including Amazon, Cisco, IBM, HubSpot, and Buffer. 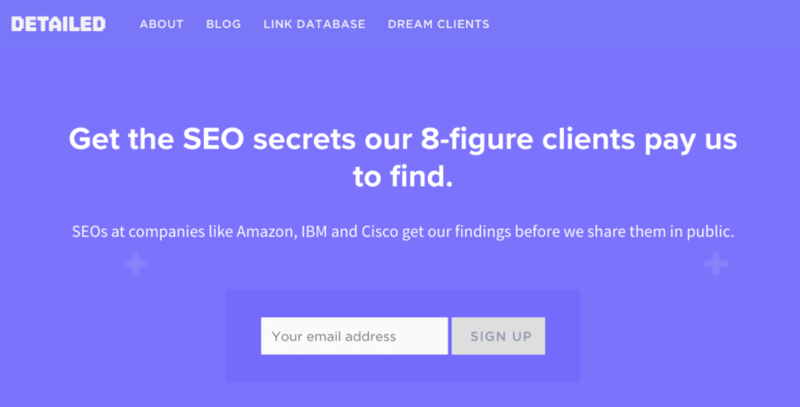 While Detailed has a limited-access link database starting from $297, it’s their free SEO Secrets newsletter which we’d like to feature in this list of free tools. Once you sign up for the newsletter, you’ll receive just two email newsletters per month from Glen Allsop where he shares in-depth (and lesser-known) SEO strategies to grow your search traffic. 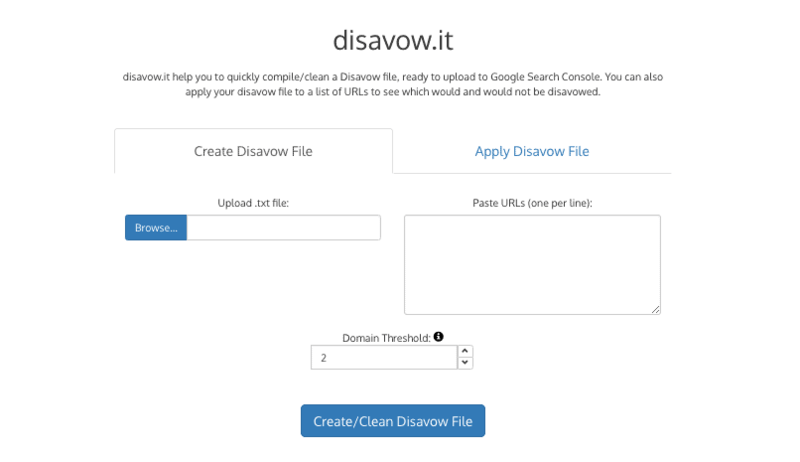 disavow.it helps you to quickly compile/clean a Disavow file, ready to upload to Google Search Console. You can also apply your disavow file to a list of URLs to see which would and would not be disavowed. Yandex Metrica is a free web analytics tool developed by Yandex, the largest search engine in Russia. With Yandex Metrica, you can get extensive traffic and user data on your site, and check its performance. You can also activate Heat Maps to see which parts of a page drive the most attention and where your blind spots are. 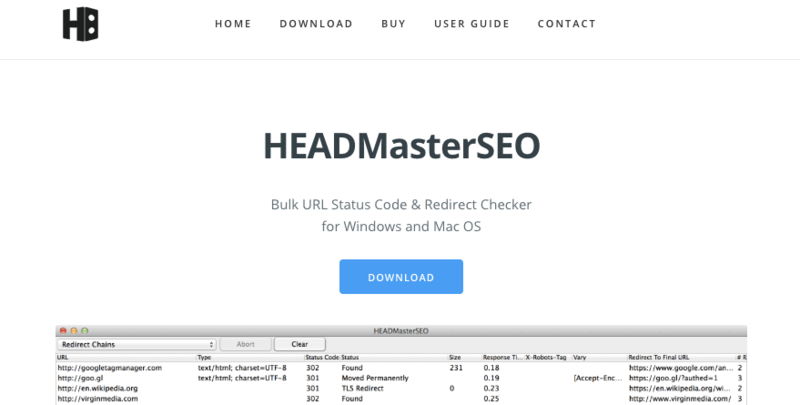 HEADMasterSEO is a bulk URL and redirect checker tool that allows you to check URL status codes, response time, redirects, and lets you export results to CSV. It’s an easy to use tool which is free for checking lists of up to 500 URLs. So these are the free SEO tools which can help you rank higher in search results. 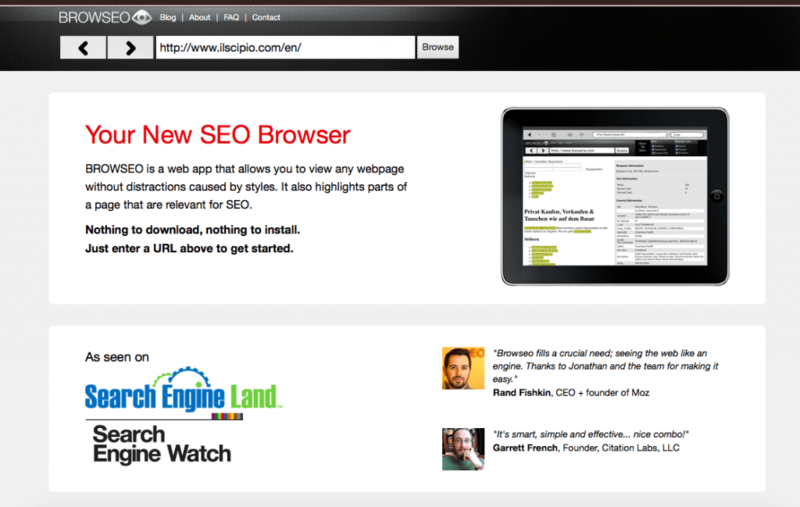 We’ll be regularly updating this list whenever we stumble upon new free SEO tools. If you think we’ve missed out on any of your favorite free SEO tools, please let us know in the comments section below. If you liked this article, please share it on Twitter using the link below or share it on your favorite social platform using the social share bar on the left. Hey Sandeep! Great list. I just wanted to point out that The HOTH has 20+ free SEO tools available along with in-depth SEO training guides that we distribute in our newsletter. You can find them in the navigation bar of our site, but I hope that you consider adding them to the article as well 🙂 Cheers! What a joy to be here to read this wonderful list! I have been using some of the platforms/tools/plugins etc mentioned in this list, but a good number of them I am unknown to it. Will surely check this, I am bookmarking this page for my further referral and use. Hi Philip – Glad to know you found the article useful. I’ve used both All-in-One SEO and Yoast, but for some reason, I prefer Yoast. That said, there are lots of WordPress users who prefer All-in-One over Yoast, perhaps because it’s one of the oldest SEO plugins on WordPress. It has its own tribe of loyal users.